The Thai-flagged fishing trawler “Thai Union 3” that was hijacked by Somali pirates in the Indian Ocean is crewed by 23 Russians, two men from Ghana and two from the Philippines. A naval aircraft spotted pirates aboard the ship, which is now believed to be heading toward Somalia. It is the fourth vessel hijacked in the area over the past fortnight, and the eighth currently being held. The owner of “Thai Union 3” has requested that the insurance company start talks with the terrorists as soon as possible. The talks may start as early as Sunday, when the ship reaches Somalia. However at the moment they are unable to establish contact with the vessel and no demands have been made by the pirates. John Harbour, a spokesman for the EU naval force, said the information is fairly limited at the moment. The pilot of the EU naval force aircraft saw skiffs (small boats) on the deck of the Thai-flagged fishing ship. “And this is an indication that the pirates have taken the vessel,” Harbour said. When the ship was captured, he said, it was able to send a signal to the UK Maritime Trade Organization in Dubai. “And that system alerted the flagship of the EU naval force, “Atalanta,” and the force commander was able to launch maritime patrol aircraft from the Seychelles to fly over the ‘Thai Union 3,’” he said. It’s currently being tailed by a British Royal naval warship. Officials say, no one has been harmed and the vessel has enough supplies on board. The EU naval force will continue monitor the vessel, which is “presently 500 miles off the Somali coast,” according to Harbour. So far there’s been no information about pirates trying to contact the ship’s owners. Relatives of the crew complain they're being left in the dark..
“I'm waiting for my father to come home. He went to sea safe and sound, and I want to see him back home safe and sound. I don't want for anything from the state – only action, not indifference. Until now nobody has called us to tell what has happepned, to ask if we need anything. Nobody! We're piecing together the information for ourselves from various sources,” Elena Gritchina, a kidnapped sailor's daughter said. Two pirate boats attacked the vessel in an area which is around 200 nautical miles off the coast of the Seychelles and roughly 650 miles off the coast of Somali, a press release by the European Union Anti-Piracy Naval Force stated. The Russian Foreign Ministry is now working on confirming the reports that the sailors onboard the ship are indeed Russians. “Our main goal now is to find out if there are sailors of Russian citizenship on board. We have sent a request to a number of states bordering Somalia. They were made by the Russian embassies in Kenya, Yemen, Eritrea and the Seychelles,” Andrey Nesterenko, Foreign Ministry spokesperson, said. “It’s not possible to tell who is captured at the moment, as the assault happened too far from both Somalia and the Seychelles,” he added. The official also expressed hope that the situation will be resolved sometime soon. “Very often they just throw away the guns they carry with them on the boat and that doesn’t allow the investigation to proceed,” he explained. “There are only a few courts in Aden and Oman that can go ahead with civil court procedures,” he added. The situation is made worse by the fact that there hasn’t been a feasible government in Somalia for 17 years. Thus the local residents, having no jobs and no means of survival, have taken to resorting to piracy. 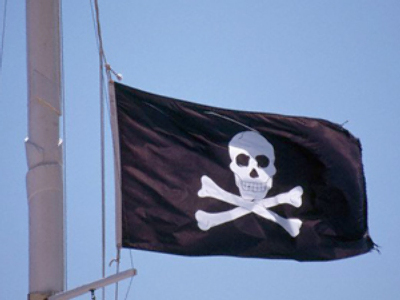 There have been over 306 acts of piracy in the world this year, compared to 293 in 2008. 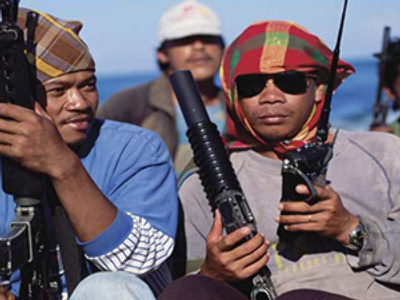 After the current attack the number of civilian vessels held by the pirates has reached eight ships, with four of them being captured during the last two weeks. Somali pirates are becoming more aggressive. According to the International Maritime Bureau, a total of 32 ships have been hijacked in the first nine months of 2009, with over 530 crew members taken hostage. What's more is that Somali pirates have extended their reach, threatening not only the Gulf of Aden, but also the Red Sea, the east coast of Oman and now the Seychelles. The area still ranks as the number one piracy hotspot. The pirates' largest capture to date was the “Sirius Star,” a Saudi oil tanker captured in November of last year. After the owners paid a $ 3 million ransom, the vessel was released. And last September, the “Faina,” a Ukrainian ship loaded with tanks, was hijacked. The crew was held for five months while negotiations over their release were going on. That time the pirates profited to the tune of $3.2 million. Another ship with a Ukrainian crew – the Greek bulk carrier “Ariana” hijacked back in May – is to be freed in 48 hours following an agreement to pay a $3.5 million ransom. Around 20 warships from the navies of at least a dozen countries are involved in anti-piracy operations off Somalia. Russia joined international efforts in the area a year ago, sending warships there. In April a Russian destroyer seized a boat carrying 29 suspected pirates believed to have been involved in an attack on a Russian-crewed oil tanker.